I remember my first experience with art very vividly. In preschool we were told to create works of art in groups on massive pieces of construction paper. Thick, gloopy handprints, flowers, and fields was all that our art piece amounted to. My next memory is my older sister's oil-paint covered bedroom, in which I spent time sitting for her as she diligently and passionately put paint to canvas. After that it was my turn. I was enrolled in advanced art classes in high school, and took a particular interest in Fauvism and Cubism. Then again as an undergraduate where I decided to dedicate my schooling to Art History. 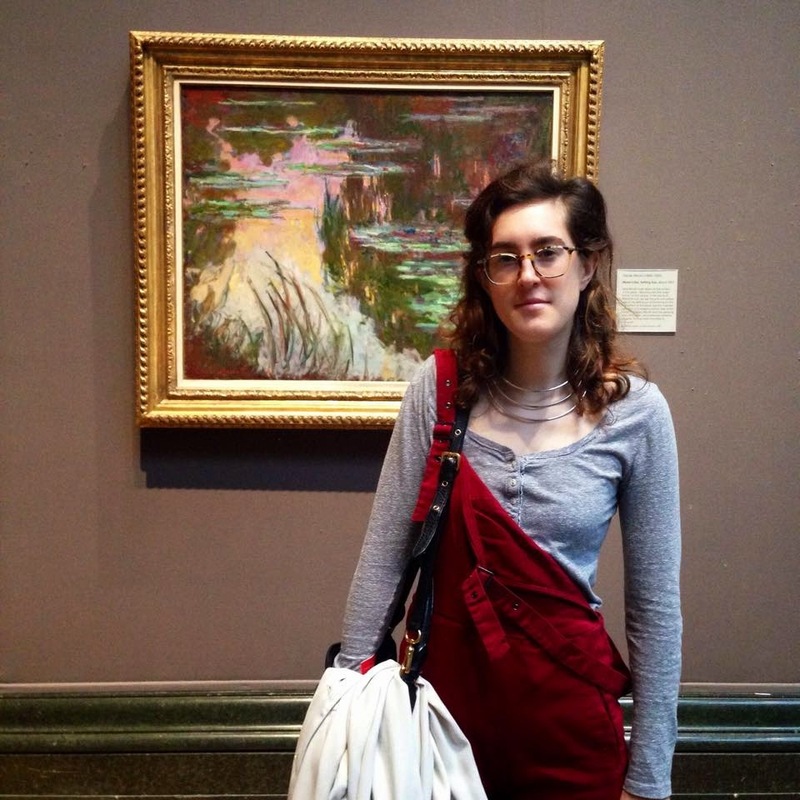 You could say I never looked back, because here I am at 23, still fervently interested in everything art, its history, and occasionally dipping my toes in the creative side of art. Does drink and draw with friends count? I know I am not the only art enthusiast, buff, scholar, academic, what have you out there who thrives on art and its creation and history. I am always looking for the next exhibition to run out to. 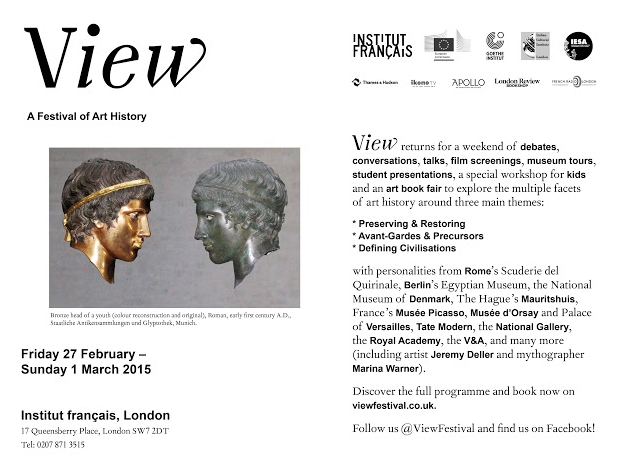 That is why I have teamed up with View: A Festival of Art History to help them promote something awesome. View: A Festival of Art History celebrates and explores the multiple facets of art history through debate, conversations, talks, exclusive museum tours, film screenings, student presentations, special workshops for kids, and an art book fair. It is the first art history festival in the UK, and with the help of Institut Français, View has set out to bring the public and exclusive, accessible, and and ambitious approach to presenting the discussion and and study of art history. They has separated the festival into three main themes which illuminate the materiality of works of art, Preserving and Restoring; Avant-Gardes and Precursors which questions the avant-garde and innovation in art; and Defining Civilizations, a look at how art has unified and opposed civilizations. No matter your interest in art history, whether it is the ancient relics of Rome, or the colorful grandeur of Sonia Delaunay, View have something for you. The best part about this festival of art history is that students can get in for 5 pounds! All events take place on February 27-28 + March 1st at Institut Français or at some of London's greatest museums. Click here for more information on how to get there and a list of all the amazing events.